Olive Oil needs to be stored in a cool dry place. The lower the acidity of the Olive Oil the higher the quality. The nutritional benefits of Olive Oil are higher if you add it towards the end of the cooking process. When cooking, you should start the Olive Oil at a medium heat and slowly raise the temperature. Frying with Olive Oil is more economical because it expands at high temperatures which means you need less to cook and it is not absorbed into the food as much as other cooking oils as well. Use Olive Oil in place of other fats in your dessert recipes for healthier delights. You can use Olive Oil as a marinade for your meats, fish and poultry. 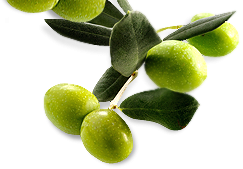 Monopati Extra Virgin Olive Oil has a beautiful green color because our olives are picked at the beginning of the season when the olives have a higher level of chlorophyll. The later the olives are picked, the more yellow the olive oil becomes.